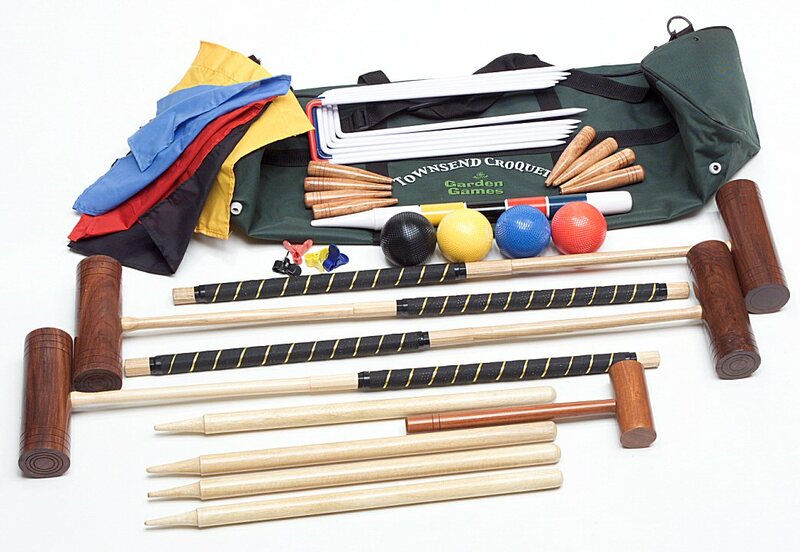 Full-size croquet set in a strong canvas bag. This set is supplied with upgraded mallets with solid ash handles, usually found only on more expensive sets. This is probably the best value full-sized boxed set available and is ideal for family use. Includes 4 hardwood mallets with leather-bound octagonal ash handles, regulation size and weight 16oz composite balls, steel hoops, hoop mallet, corner flags and pegs, plastic clips, hardwood winning post and rules. Packed in a solid pine box with latches and rope handles. An excellent set for all the family. We offer a number of accessories to go with this set. The secondary colours are worth having if more than 4 people will be playing at the same time, or when playing with 2 balls. We also offer extra mallets. The extra Townsend mallets are the same as the ones supplied in the standard Townsend set. The Junior & Intermediate mallets are great for encouraging the children to take up this great game. The Hurlingham mallets are a great way to upgrade the set. For many years there were two types of croquet set - good quality sets at a very high price, and poor quality sets at a lower price. Thankfully, this situation is changing as some really quite impressive sets at very good prices are becoming increasingly available, broadening the appeal of croquet. Probably the most famous of these is the Townsend Croquet Set shown on this page. What this set does so well, is to put the quality where you need it most - basically it's firstly and foremost mainly about mallets and balls! Get these two right, and you'll have a great time playing croquet. 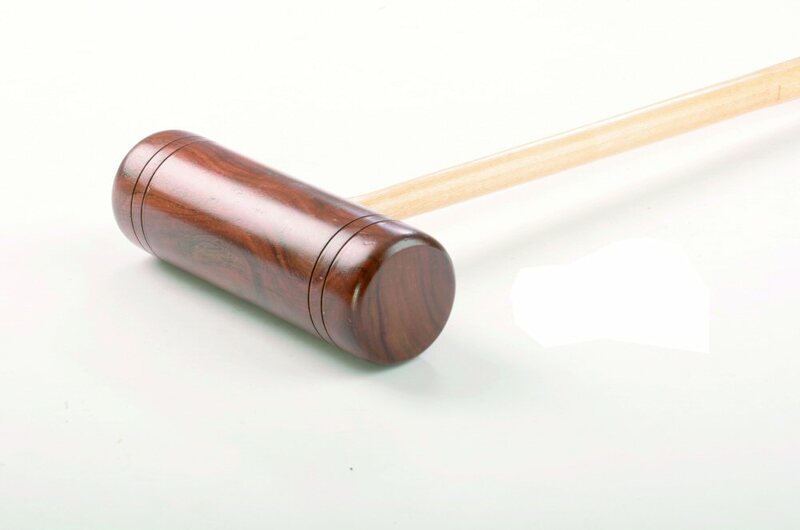 The mallets supplied with the Townsend set are remarkably good for the price - they have solid ash octagonal-section handles, profiled so that they flex in just the way you would want them to, and hardwood hitting heads. 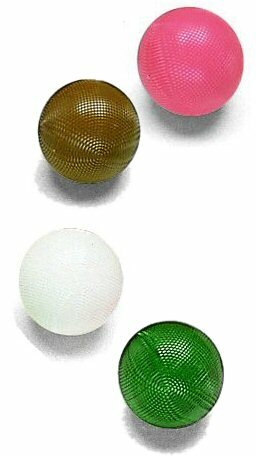 The balls are very good - made from modern composite materials, they are long-lasting and regulation size and weight (try and find that elsewhere at this price!). The hoops are not the most critical aspect of a croquet set as they are easy to get right - as long as the gauge of steel is adequate - these are. All in all, our Townsend Set really is a very good buy.